To be a part of endeavors to improve global environmental structures in the next generation of international environmental acts to have better implementation and resulting in agreements and policies at national and regional levels. For the last 9 years, I have been involved in biodiversity conservation by performing different technical and coordination roles within UNDP Iran and the Ramsar Convention Secretariat as well as a number of NGOs. 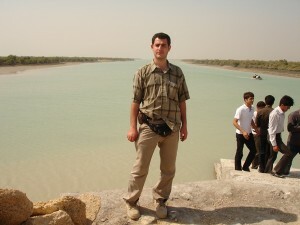 My first professional experience was working with a joint UNDP/GEF project in Iran entitled “Conservation of Iranian Wetlands”, where we succeeded to introduce ecosystem-based management approach for wetland ecosystems and their watersheds to Iran’s government and also to support applying this approach for other Ramsar Sites (internationally important wetlands) in Iran. In this project, I played various roles that provided me the opportunity of interacting with a variety of wetland stakeholders from highest levels of governmental authorities to local communities. 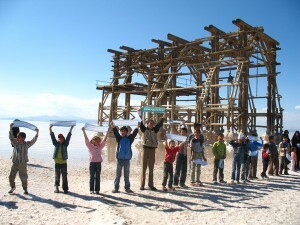 It gave me a deep insight into the national execution of an international project. I learned about interactions between different stakeholders, water sharing processes, multi-stakeholder negotiations at local and national levels to enhance the conservation of wetlands and influence the national biodiversity and wetlands policy and action plan. I also learned why and how an international environmental project could succeed in a developing country and how international bodies can influence national policies. 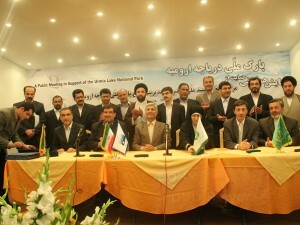 Later on, as the National Coordinator for the Drought Risk Management component of this project, I initiated the first basin-based national drought risk management dialogue in Iran for Urmia Lake Basin (the second biggest hyper-saline lake of the world) and also coordinated and facilitated integrated water allocation procedures for this vast basin. After joining the Secretariat of Ramsar Convention on Wetlands in Switzerland as the Assistant Advisor for the Asia/Oceania region, I was involved in wetland conservation activities in a global context. Working in this position provided me some new insights into global environmental, water and wetland policy development endeavours as well as inter-governmental negotiations to introduce some solutions for concerns and challenges in between countries when they try to adapt their national policies with international environmental agreements and/or when their interests come to a conflicting point. I understood that there is a serious need for a revision in the way international acts influence country and regional policies because the nature of implementation of policies when it comes to the governments’ interests is different from what is agreed by those countries on paper. Focusing on wetland conservation, I came to an idea that as a part of the solution for wetland management issues, there is a need to establish a specialized wetland academy to cover wetland ecosystem management and conservation sciences and to promote global knowledge for raising issues about wetlands. This is a part of my future plans to create such a structure under the Ramsar Convention. Currently I am developing a concept note as a basis for my PhD proposal to study and model the relationship between drought in hyper-saline lakes ecosystems and socio-economic issues of local residents around these lakes. A comprehensive understanding of this issue is one of the gaps between drought related sciences (with mostly mathematical approaches) and migration as a socio-economic phenomenon. For the future I see myself getting involved in leading global environmental practices at both regional (the Caucasus, Middle East and Central Asia) and international levels. Saber proposed to organise a Central Asia Regional Workshop with funding from the Alumni Innovation Fund and in collaboration with Aziza Akhatova (2013), Vanessa Reid (2013) and resource person, Melinda Laituri. 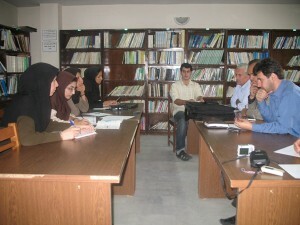 Inception workshop of the first “eco-village” project in Iran, as the coordinator of the project (2010). 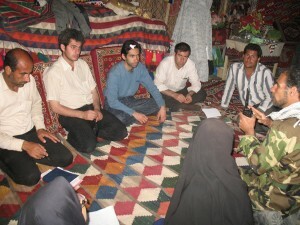 Coordination meeting with local communities around Lake Parishan 2007, as the coordinator of the first wetland festival in Iran. 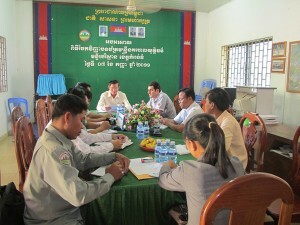 Evaluation meeting for Ramsar Tonle Sap project in Cambodia (2011). 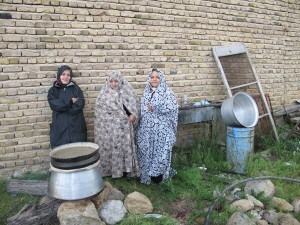 Alternative livelihood project for local communities aromatic water extraction. 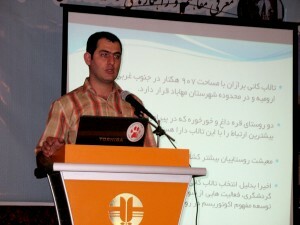 Facilitating Lake Quri Gol (Ramsar Site) participatory management planning workshop (2010). 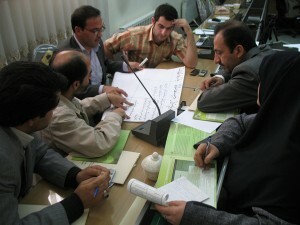 Facilitating water share allocation for the Lake Urmia basin, Iran (2009). 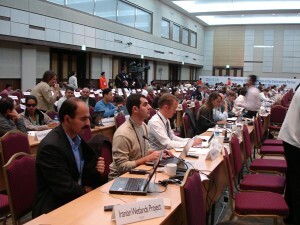 Participating and giving presentation in Ramsar CoP 10, Korea. 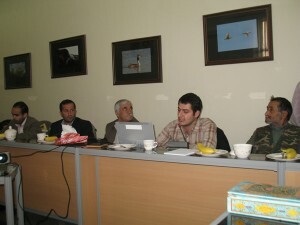 Planning meeting of public awareness activities for Lake Urmia Basin with the NGOs. 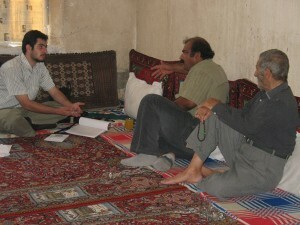 Meeting with local communities around Lake Parishan, Iran for alternative livelihoods (2008). 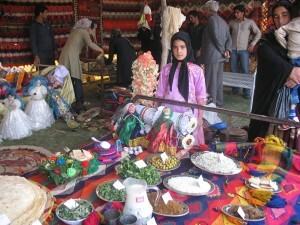 Lake Urmia Basin Ministerial Management meeting.